The disturbing Fermi Paradox suggests we should have made contact with an extraterrestrial civilisation by now, yet we haven’t. By applying a 500-year-old philosophical principle, a Cornell University researcher has shown that the Great Silence is not unexpected—we just need to give it more time. 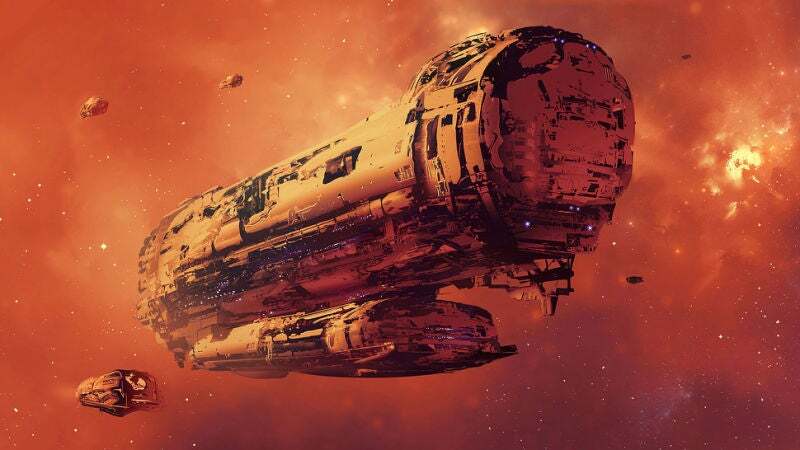 In a new study that will be presented at an American Astronomical Society meeting later this month, astronomers Even Solomonides and Yervant Terzian combine the Fermi Paradox with the Mediocrity Principle to show that we shouldn’t expect to hear from aliens for another 1,500 years. The reason has to do with the vastness of the Milky Way Galaxy, the time it takes radio signals to propagate through space as well as the apparent “averageness” of humanity in the larger scope of things. As physicist Enrico Fermi noted nearly a half-century ago, the Milky Way may be huge and full of stars—200 billion give or take a few—but there’s been more than enough time for aliens to have made their presence known in one form or another. Many solutions have been posited to answer this apparent paradox, but nothing conclusive. The mediocrity principle, devised by the 16th century mathematician Copernicus, suggests there’s nothing unusual or special about Earth, humanity, and our place in the cosmos, and that if anything we’re actually quite banal in large scheme of things. It’s because of this incredible vastness, says Solomonides, that we haven’t received a signal from an alien civilisation. Take our situation here on Earth, for example. For the past eight decades, we’ve been broadcasting radio signals, and they’ve been spreading out into space like an expanding bubble. Aliens who receive our radio messages would have to detect them first and then recognise them as being alien. And then they’d have to go about the daunting task of deciphering our signals. That said, Earth’s radio broadcasts have reached every star within about 80 light-years of the sun, reaching about 8,531 stars and possibly as many as 3,555 Earth-like planets. This might sound like a lot, but Solomonides says this is a drop in the bucket. It only represents about 0.125 percent of the planar area of the Milky Way. Logically, these same parameters applies to alien intelligence. So, for us to have been reached by alien signals so far, we would need to be in a rather special, proportionally tiny area of the galaxy. “And we know we’re not special,” write the researchers. The researchers also took the age of the Milky Way Galaxy into consideration, and calculated that humanity is somewhere in the median 90 percent of the population of galactic species as far as broadcasting history is concerned. This means humanity is not among the first nor last five percent of civilisations to develop radio transmitting technology. Quite pessimistically, they figure that there have been fewer than 210 intelligent communicating civilisations in galactic history, implying that we are among the first to develop radio broadcasting technology. The researchers also figure that the average civilisation has been broadcasting for about 80 years, and that the upper limit for radio broadcasting is about 1,600 years. “[We] expect to have heard from an alien civilisation when approximately half of the galaxy has been reached,” write the researchers in their study. After applying the Mediocrity Principle to the Drake Equation (an open-ended calculation that seeks to predict the number of radio transmitting alien civilisations in the Galaxy) and other factors, they calculate that alien radio signals would need to propagate out for about 1,580 years before half of the galaxy is reached. Should we not hear from aliens by that time, the researchers say it would be “disconcerting,” and the Fermi Paradox would emerge as a relevant problem. An interesting conclusion, to be sure, but this study—which has yet to be published in a peer reviewed journal—has some problems. First, it exclusively assumes classical SETI is the mode of interstellar communication. As time passes, we’re learning that there are a significant number of ways for alien intelligence to make their presence known to one another. Second, Solomonides and Terzian grossly underestimate the degree to which radio signals degrade over vast distances. 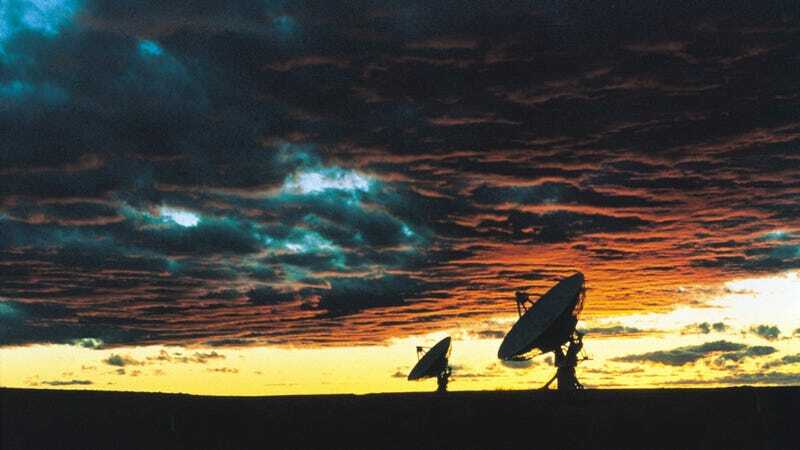 For an alien civilisation to detect a radio signal thousands of light-years away, they’d have to focus massive arrays of radio antennas for protracted periods of time (from months or years at a time) at a single spot in the sky. Seems unlikely, and a horrible waste of resources. Finally, the researchers also fail to address an important aspect of the Fermi Paradox, namely the suggestion that aliens eventually embark on interstellar colonisation. Previous calculations have shown that the Milky Way, due to its extreme age, could have been colonised many times over by now (recent work shows it should take less than a billion years, perhaps even as little as a few tens of millions of years). This possibility is completely overlooked in the new paper.